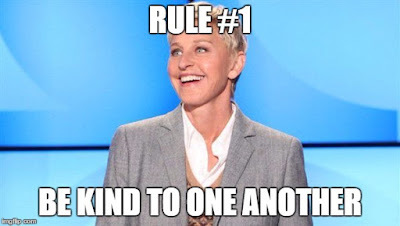 I remember been completely in awe admiration for Ellen Degeneres sense of humor and her kind nature every since I stumbled upon her show. Her sense of humor alongside her generosity indeed make the entire show an interesting combination of laughter and love. Seeing her TV show raising from seasons to seasons made me immensely happy and I feel a reel connection of growing up with it. Her works and her action speaks louder than any high noted language. In short, it sums up every single explanation of making people happy with an added humorous sense. Since most of us know what she is solely good at, I won't be stretching this for more. But after been awarded with the PEOPLE'S CHOICE AWARD 2016 for (Favourite Humanitarian/Favourite Daytime TV host) I could't agree more but to talk more of her Kindness. She wholly and deservingly deserves it. There is no question of how and why? It may not be a nobel prize but what could be more better than receiving the award of love from the people around. If you have been following up with her shows, you would definitely know how much she had given without expecting back. 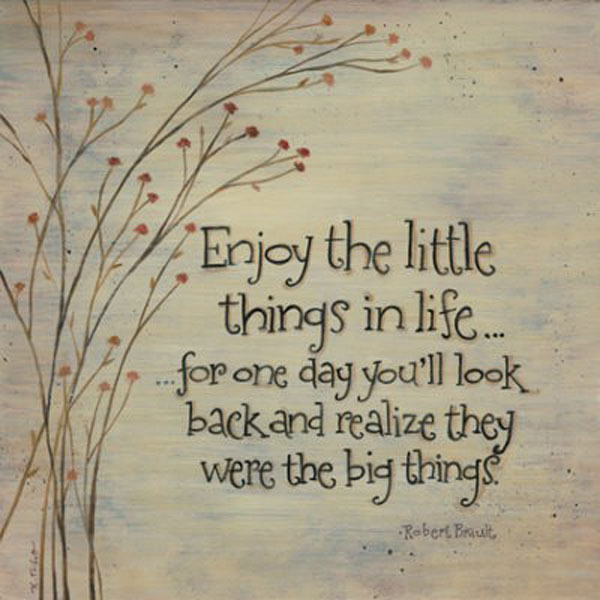 And it will make you wonder why and how can someone be so kind and giving at the same time. 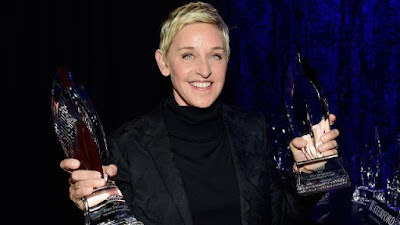 Of course, there are other great humanitarians but she been my favourite and her latest speech on the 'People's Choice Award', caught my attention to write about it. She quoted, "It is amazing to me that I am up here getting an award for being kind and generous which is what we are supposed to do as human..."
How true is that? Well.. it is on point. Isn't what we human are supposed to be ? i.e be generous and kind. She spoke the heart and soul of being 'human' enough to show love and emotions to other well beings. And, with more people agreeing on the note of her been deserving, I could't quite stay calm. She is an idol to some and an inspiration to many, it is a wonderful example of using fame and power to change the world and making the world a better place to live.. changing not only one life but many. People are sending her love, thanking her endlessly for inspiring them, reminding her how truly she deserves it. Seeing her fulfilling many dreams and raising money for charities, natural calamities etc for the needful is a reminder that there is still 'humanity' from the human side. How I wish there will be many like her; who would be generous enough to not only help those in needs but change their lives to a different level, that there would be more kinder people on earth, especially if it is from the most powerful and capable status. That way the world would be a better, happier and a wonderful place to live and live. Hope her message of spreading 'kindness' and 'generosity' reach to the far end of the world and change the mindset of People to be Kind and be Kind.